A perfect gift for yourself or the Twilight fan in your life! 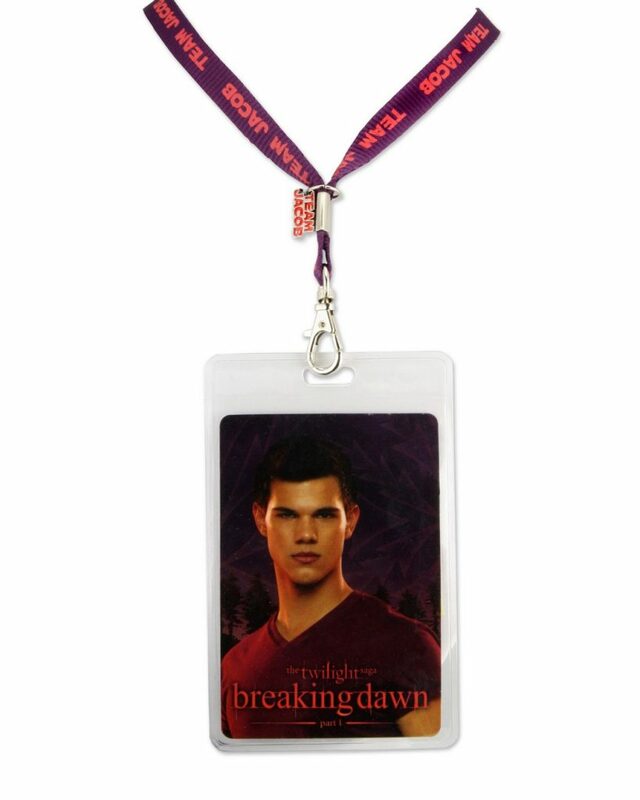 This multi-purpose Breaking Dawn lanyard is great for attaching to keys or badges (work, convention or other). 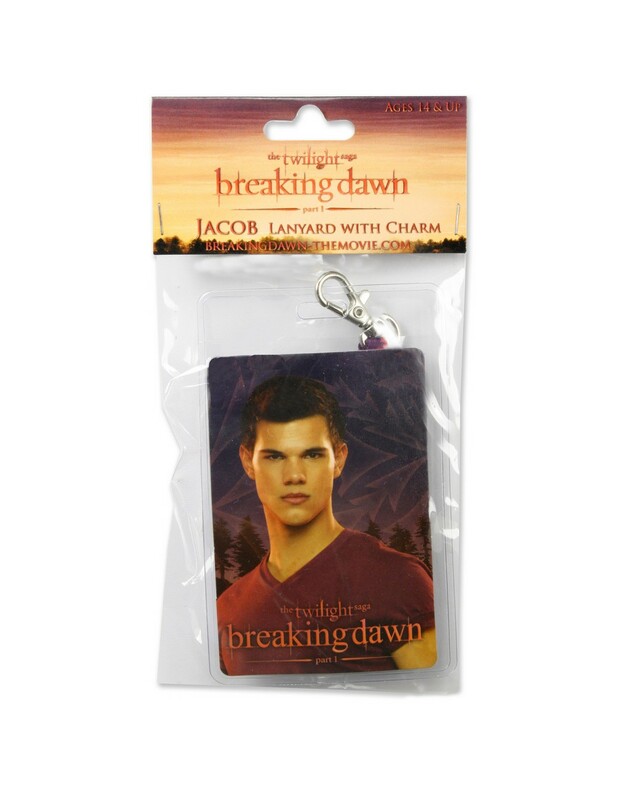 Plus it’s adorned with an enameled “Team Jacob” charm and a photo of the sultry werewolf in a clear plastic badge holder! 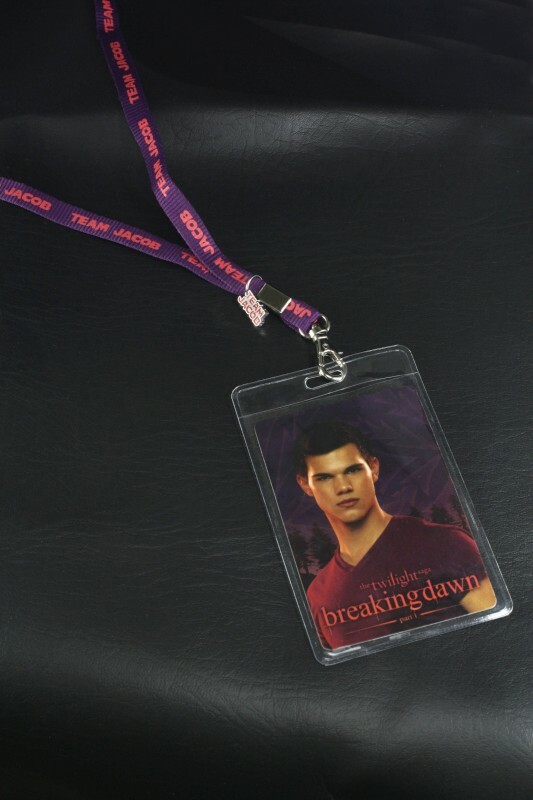 The purple cloth lanyard is printed in pink with the “Team Jacob” logo.